“It’s time for Dodger baseball!”- former Dodgers sports announcer Vin Scully. The Dodgers held their first home game against the San Francisco Giants at Dodger Stadium, on March 29. The weather was just right, around the 70s. There was a lot of energy and passion from Dodger fans, and the color blue everywhere with music, festivities and pregame ceremonies. The first pitch of the game was Kirk Gibson, an American former baseball player and manager. Opening day is a very special and important day for all baseball fans. 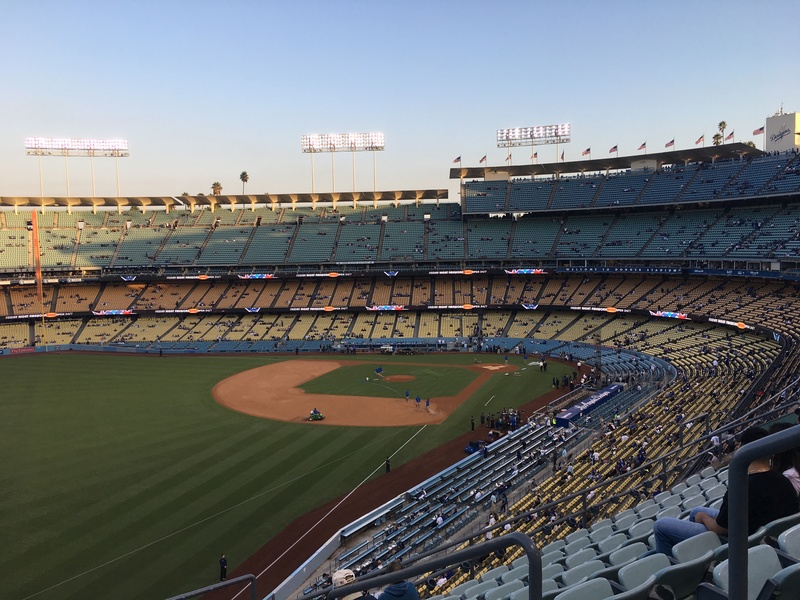 Many Dodger fans want to forget about last November’s World Series game, game 7 against the Houston Astros. The stadium was roaring, fans filled with nerves, players dripping in sweat, overflowed with pressure. Unfortunately for Dodger fans, the Dodgers lost that game against the Astros, 5-1 and did not win the World series. As fans want to forget the disappointment of a loss, opening day will be the recovery to Dodger fans as it is a fresh new start. As every team has a specific roster of players to play during different games, of course the Dodgers has theirs planned. The opening day roster included: Kershaw, Wood, Maeda, Hill and Ryu as starters pitchers; Grandel, Barnes and Farmer as catchers; Bellinger, Hernandez, Forsythe, Seager and Utley as infielders; and Kemp, Taylor, Puig and Pederson as Outfielders. Many were excited and curious on one specific player that was going to play, Matt Kemp. Kemp was a former Dodgers player ever since he was traded in and became part of the San Diego Padres and Atlanta Braves. Now, Dodgers welcomed him back, once again a Dodger and back in blue. The Dodgers lost to their first game from opening day against the Giants with the score of 1-0. But the season just started and the Dodgers are back! Hopefully they will soon take wins and keep the loyal Dodger fans happy and ready for future games. When will deaths of minorities by the hands of police officers end?